We would like to invite local businesses and individuals to play an important role in the Christmas Parade Festival though sponsorships. 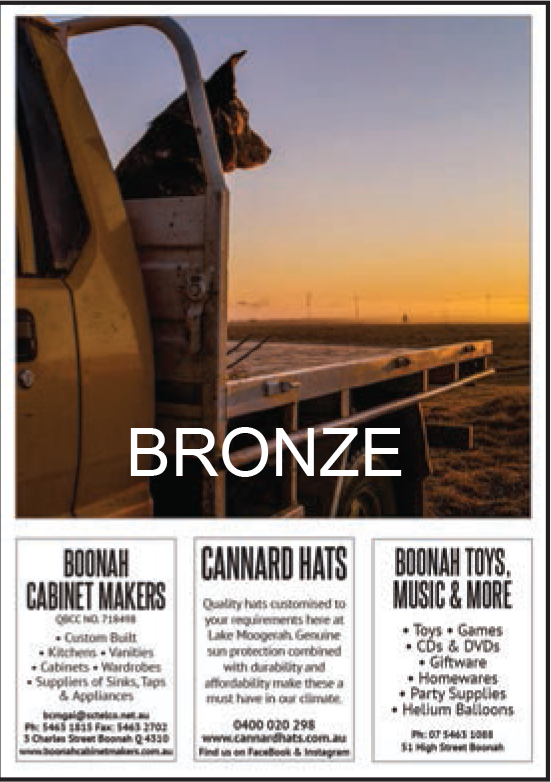 This sponsorship booklet is not only about acknowledging the sponsors of the Boonah Christmas Street Festival but will be used as a tool for our community to show their support for our farmers. 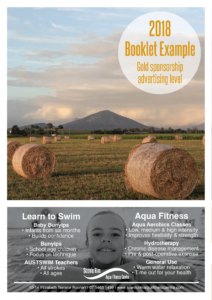 Sponsorship packages are available at 3 different levels, Gold, Silver & Bronze allowing local businesses to promote their business within the area. 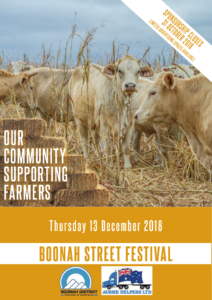 Your sponsorship will be an invaluable addition to allow the Boonah District Chamber of Commerce to fund the Boonah Christmas Street Festival, to thank our local community for their continued support and to gain maximum exposure for local businesses within Boonah and surrounding towns. 1/3 page black and white advertisement (138.5 x 60mm) at bottom of page. 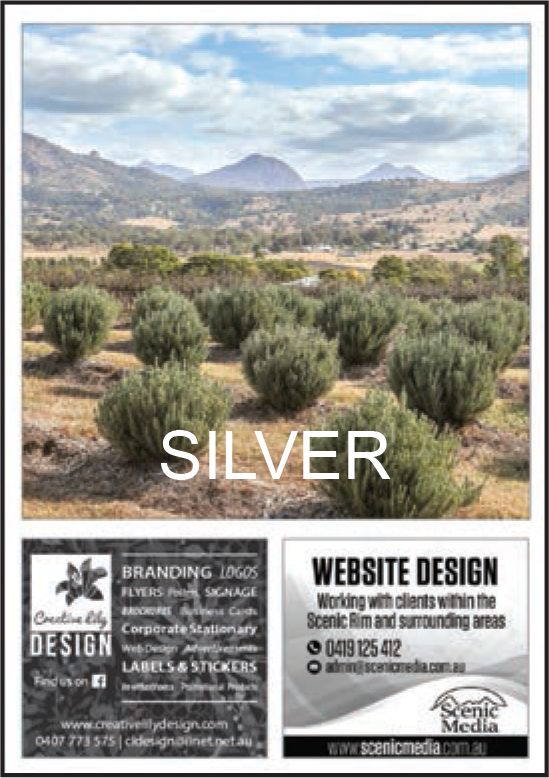 Business to provide artwork for advertisement containing company logo, business name, contact details and selling points/products or services. If unable to provide artwork and can only provide information as text, a basic advertisement will be created. 1/6 page black and white advertisement (67 x 60mm) at bottom of page. Business to provide artwork for advertisement containing company logo, business name, contact details and selling points/products or services. If unable to provide artwork and can only provide information as text, a basic advertisement will be created. 1/9 page black and white advertisement (43 x 60mm) at bottom of page. Generic advertisement containing business name, selling points/products or services as bullet points (maximum 7 lines) and 3 lines of contact information. All other individual and business Donations which do not fall under these 3 categories will still have their name mentioned under a separate ‘Additional Sponsors’ portion of the booklet. 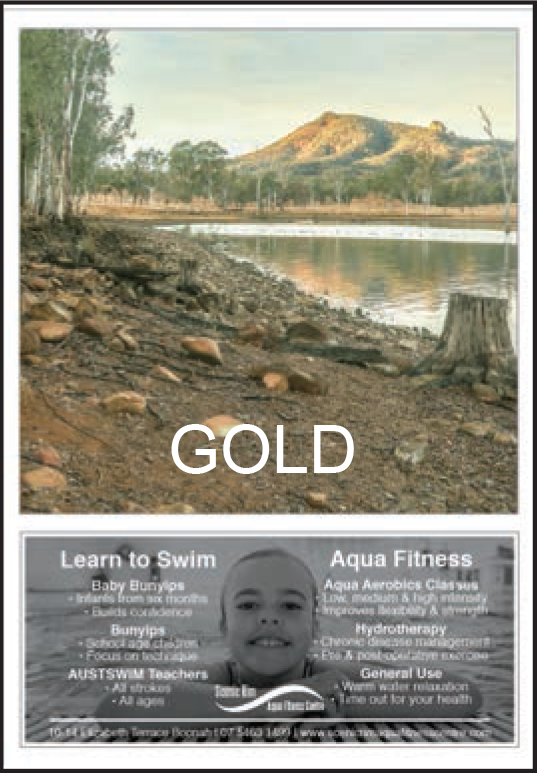 Here are copies of the Example booklet and Sponsorship Form you can download from the website.